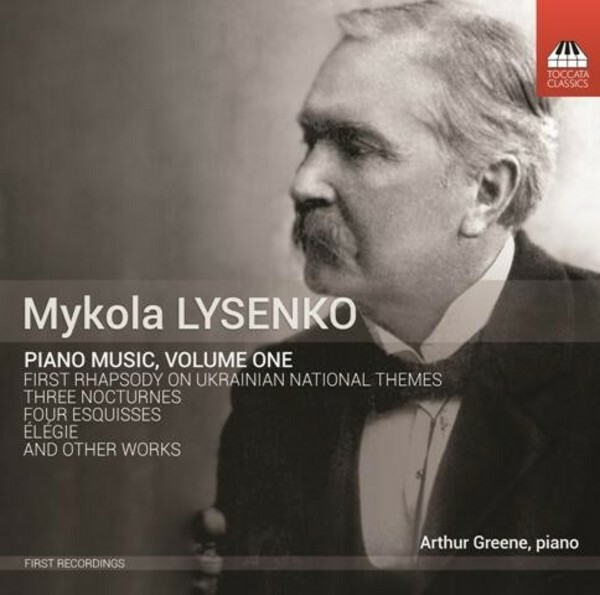 Mykola Lysenko (1842–1912) is regarded as ‘the father of Ukrainian classical music’ but his music is virtually unknown outside his home country. As Bartok did later in Hungary, Lysenko went out into the field, listened to what the people were singing and fashioned an individual musical language that brought together the styles of Chopin and Liszt and the essence of Ukrainian folksong. This first CD of two presenting his piano music should prove a revelation: the opening First Rhapsody on Ukrainian National Themes takes the Liszt Hungarian Rhapsodies as its model and adds lashings of folkloric charm. It is complemented by a series of equally delightful miniatures, all recorded for the first time. Arthur Greene was born in New York and grew up in Sheffield, Massachusetts. He studied at Yale and Juilliard where he studied with Martin Canin. He now teaches at the University of Michigan in Ann Arbor. He has made many recordings together with his wife, the violinist Solomia Soroka, for Naxos and Toccata Classics.